Diver Peter Lindberg recently sat down with Red Ice Radio to discuss the “Baltic UFO” that was reported in several major media outlets earlier this summer (see here and here). 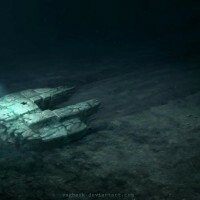 At the beginning of this year’s recovery season, Ocean X, a Swedish salvage company, began further investigations of an underwater anomaly it discovered last year. Some outlets questioned the veracity of Ocean X’s claims, allegations which Lindberg addressed in his interview. Lindberg explained that he believes the most likely explanation is that the odd rock formation is an underwater volcano or, if artificial, a relic of the Ice Age. He asserts that he never claimed for it to be a UFO and further research has ruled out it having been constructed during either world war. Much of the UFO speculation arose from Ocean X’s constant reports of interference at the dive site with its electronic equipment. Lindberg stated that while electronics and water don’t mix and equipment problems are common on dives, he’s never seen this level of interference. His team just completed operations necessary to create a computerized 3D image of the object and have taken samples from loose rock around and atop it. Ocean X is working with Stockholm University to process the data and samples and hopes to return to the site with a geologist and the tools to take a core sample. The team also used a frequency meter to determine whether or not the object was emitting radio frequencies and are awaiting final results. While some may question whether or not Ocean X is using their “find” to garner publicity, Lindberg’s previous success in recovering the $8 million “Jonkoping Champagne” from the depths of the Baltic Sea definitively established his maritime exploration and salvage bona fides. For the full interview, go to Red Ice Radio.